Cankles are a thicker area of the lower leg where the ankle and the calf come together. The word "cankle" is not a medical term, but rather a popular slang term that combines the words "calf" and "ankle." People with cankles often say that they have fat ankles or thick ankles. What Are Cankles and Why Do I Have Them? So how do you know if you have cankles? In a typical leg, the ankle area is thinner than the calf. But the legs of people with cankles are different. People with cankles have a calf and ankle area that are about the same size. There is almost no calf definition and the lower leg looks fatter than normal. So are cankles normal? Sometimes they are. You might have cankles because your parents had them. But there are different causes of cankles and some might indicate an abnormal medical issue. According to the National Institutes of Health (NIH), painless swelling in the ankle area may happen if you are overweight, pregnant or experiencing normal hormonal fluctuations. You might also notice ankle swelling after sitting for a long time in a car or airplane. Certain medications may cause swelling in the ankle area and it may also happen after certain types of surgery. But swelling, or edema, in the lower leg may also indicate a problem. The NIH warns that foot, leg, and ankle swelling may be caused by a blood clot, a leg infection or when veins cannot properly pump blood back to the heart. Swollen legs may be also a sign of heart failure, kidney failure, or liver failure. If you are concerned about swelling in your lower legs or if you notice an increase in swelling, talk to your physician. And the NIH recommends that if your swelling is accompanied by chest pain or shortness of breath, call 911. If you've ruled out a medical problem, you may be wondering if it is even possible to get rid of cankles. There are a few things that might help to reduce the fatty appearance in your lower legs. If you are overweight or obese, the best way to get slim down your cankles is to lose weight. Of course, when you slim down, you can't choose where the weight loss will occur. But if you stick to a calorie-controlled diet and a consistent exercise program, you're likely to see your cankles get smaller. If you begin a weight loss program, remember to start slowly with reasonable goals. A quick-fix, crash diet might provide results in the short term but is likely to backfire over time. Sometimes cankles are caused by diet-related swelling. For example, if you eat a diet high in sodium you may retain water all over your body. You may notice it more in the ankle area. There are some natural herbs (like parsley) that help reduce water weight, but you can also eat fewer processed foods and put away the salt shaker to reduce the sodium in your diet. Another smart diet change is to check your starchy carb intake. Carbohydrates are an important part of a healthy diet. But if you eat a diet higher in starchy, sugary foods, you may retain more water. If you balance your micronutrients (get enough protein, healthy fat, and nutrient-rich carbohydrates) you might find that your legs get leaner from a loss of water weight. Some doctors can help you get rid of cankles if the area is enlarged because of fat rather than swelling. Certain liposuction treatments can help add definition to the area so the calf muscle is more noticeable and the ankle area looks slimmer. But these medical treatments can be expensive and like all medical procedures, they carry some risk. For most people, weight loss is the most effective way to make your legs look slimmer. But if you're not ready to invest time and energy into a comprehensive diet and exercise program, there are a few weight loss tips you can use to banish your thick ankles. Get an activity tracker or pedometer and boost your step count. Walking is a great exercise for everyone but it is especially good for people with cankles. 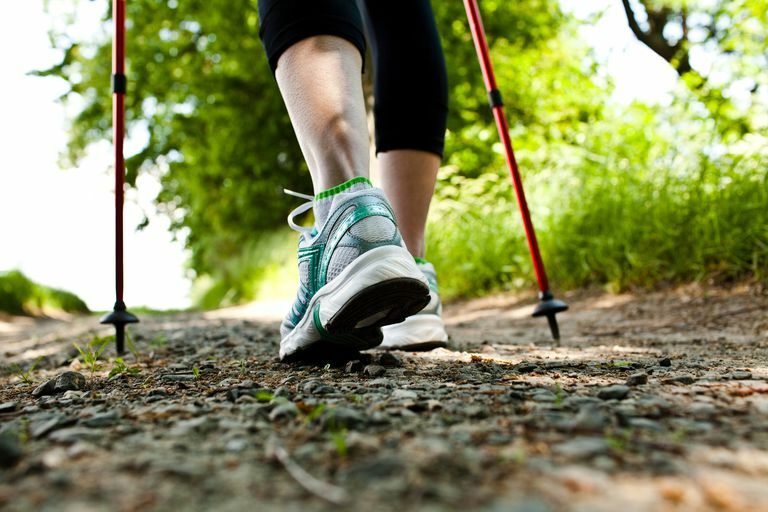 Walking improves circulation in the legs and helps to build up the calf muscles. When the calves are bigger and tighter, the ankles look smaller. At mealtime, cut your meat portion in half and double the amount of veggies on your plate. Why? First, you'll cut the calories in your meal when you fill up on low-calorie roughage. And you'll probably also reduce your salt intake when you cut the amount of meat that you eat. Lastly, the fiber in the vegetables will help you to feel full longer so that you eat less in the hours after the meal. High-fat foods are also foods that are high in calories. Fat provides 9 calories per gram. Carbohydrates and protein only provide 4 calories per gram. So if you limit the amount of cheese, butter and fatty meats in your diet, you'll cut calories and slim down. In addition, many foods that are high in saturated fat are also high in sodium. Fried foods are a good example. When you reduce the amount of salt and fat in your diet, you may notice that your cankles look better in just a matter of weeks. Even if you don't change your diet, there are simple exercises that you can do throughout the day to help increase circulation in your legs and shape the muscles and reduce the appearance of cankles. The great news is that you don't have to get sweaty or go to the gym to do many of them. Do a few of these exercises when you are cooking dinner, talking on the phone or folding laundry to shape leaner legs. In a standing position, lift your heels off the ground so that you are standing on the balls of your feet. Hold on to a chair or counter top for balance if necessary. Do 7-10 repetitions. As your fitness level increases, try to do this exercise without holding on for support. Stand on a stair and let your heels hang off the edge. Hold on to the banister for support. Now lift and lower the heels. Repeat the exercise 7-10 times. Got a little more time? If you are healthy enough for vigorous exercise, do more intense cardiovascular workouts to help shape the lower legs. Activities that engage the calf muscles will provide the greatest benefit. Jumping rope, climbing stairs, and jogging work well. Plyometric movements that involve jumping will also help you to reduce cankles. Squat jumps, lunge jumps, and box jumps are good examples. If you exercise and eat right to get rid of cankles and you're still not satisfied with the results, don't despair. Use wardrobe tricks to reduce the appearance of thick ankles. High heeled pumps with a pointed toe make your legs look longer and more elegant. And most style experts suggest that you avoid shoes with an ankle strap if you don't want to draw attention to that area. And lastly, draw attention to your shoulders, your lean arms or another part of your body that you favor to feel elegant and sophisticated. Medline Plus. Foot, leg, and ankle swelling National Library of Medicine. Accessed: May 6, 2016.